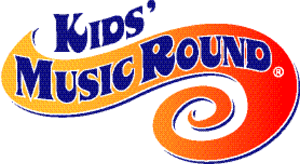 Children Central provides the award-winning Kids’ MusicRound® (KMR) program to its families. We want to make this awesome program affordable for all of our families. 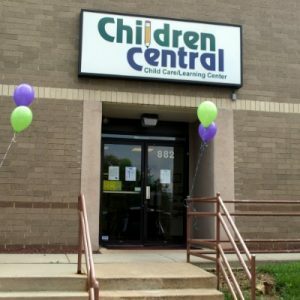 In order to make this possible, Children Central is subsidizing the cost. At only $15 for the entire 10 week session (which also includes a CD to take home), we know that all of the children attending our school will enjoy this spectacular addition to our early learning curriculum. KMR is part of the required curriculum for Toddlers through Pre-Kindergarten. KMR is an international, research-based, fun-filled music program designed specifically for children in the early childhood years. 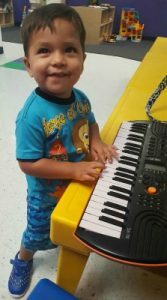 It is during these formative years that a child’s innate music potential is actively developing. The goal is to help bring out a child’s natural curiosity about music in a playful and encouraging environment. It is important to develop the necessary skills of singing in tune and keeping beat early. Your child will sing a variety of original, traditional and multi-cultural music. Instruction includes playful movements such as dancing, clapping and bouncing. Rhythm instruments designed for little hands are perfect for musical play. Kelly Golden is the Kids’ MusicRound instructor interacting with the children in the classes. “Miss Kelly” received her B.A. from Mary Washington College in Fredericksburg, VA, where she majored in Dramatic Arts. She is a certified Master Teacher with Kids’ MusicRound and has taught the program for the past 9 years. In addition to teaching, she works for the company as their Teacher Training Coordinator. In this role she has led many Teacher Trainings and oversees their Mentoring Program for new licensees and teachers. Miss Kelly is very passionate about early childhood music education. She has performed with many local theater groups including: Shakespeare ’70, Stage One Productions, and the Princeton Opera Company. She volunteered as the staging director of the annual children’s musical at Allentown Presbyterian Church for 7 years. Miss Kelly has also sung with many choirs including an auditioned a Capella group and show choir as well as in her churches. She also sang for many years with the Christian Community Choir and has sung on several of their CDs. Miss Kelly delighted many children during her year as a professional clown. In her spare time, she loves spending time with her husband and daughter, as well as doing volunteer work with her local PTA and the Trenton Cats Rescue. Miss Kelly very much looks forward to bringing a real joy and love of music that will last a lifetime for all the children at Children Central Child Care / Learning Center . Each family can greatly benefit from listening and singing along to the CD at home, reinforcing what was learned in class, as well as fostering a special partnership between family, child and school. Music is not just a once a week activity. The classroom instruction will have a lasting effect when the children are listening at home as well. We encourage parents to enjoy the CD along with their child. 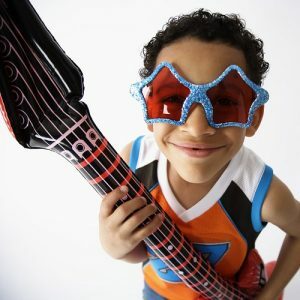 We know this musical experience will allow your child to grow in amazing ways. Music affects every part of the brain helping in language development and physical development. Music is soothing and unlocks a child’s imagination, curiosity and creativity. CLICK HERE to view more details here about KMR!